Gorgeous craftsmanship. Every album is made to order, made by hand in New Zealand by a lovely family-owned and family-operated business for nearly 50 years. I trust the quality of this premier company, Queensberry, and can stand by their albums having seen ones decades old. They endure the test of time. They are a worthwhile investment that is meant to last generations as a family heirloom, meant to tell the story of your family legacy. 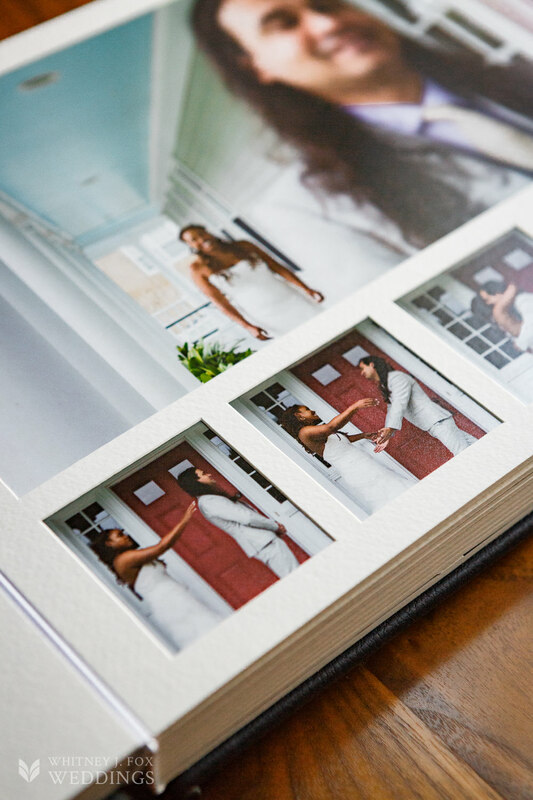 There's nothing better than seeing them beautifully printed in a gorgeous album that you can touch and feel. No internet access needed. 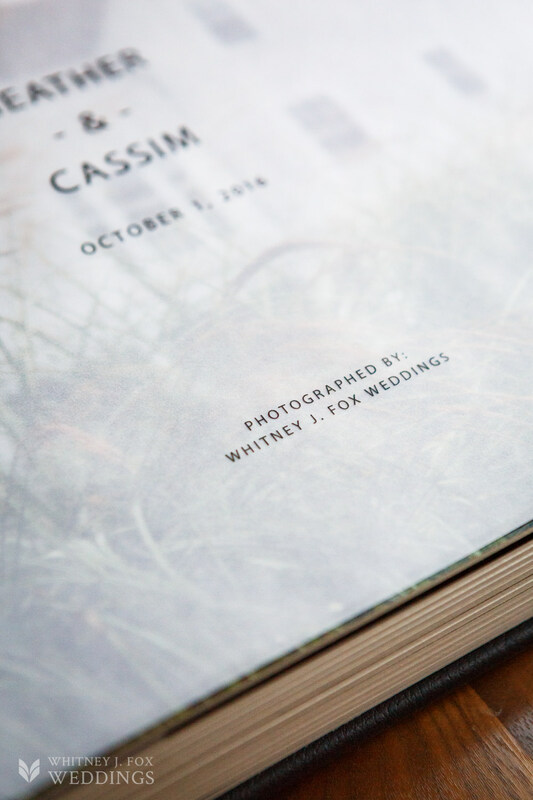 Cozied up on the couch with your love, you can linger on a page, skip ahead to the reception, or flip back to the moment you said "I do" -- the album lets you endlessly relive your wedding story. You get to select your cover material, feature, font, and title page to really make this album your own. 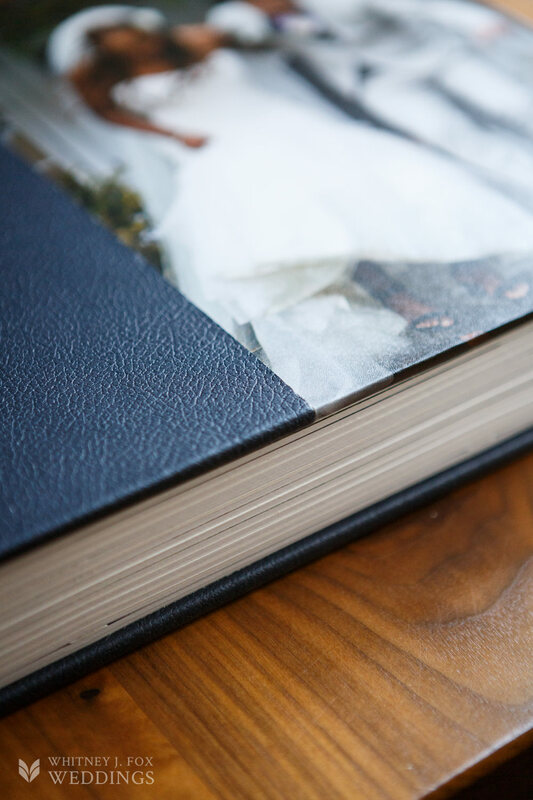 It will most likely live on your coffee table, have a special spot in your family room, or have it's own shelf display on one of your bookcases, so it totally makes sense you want your album to look its best. 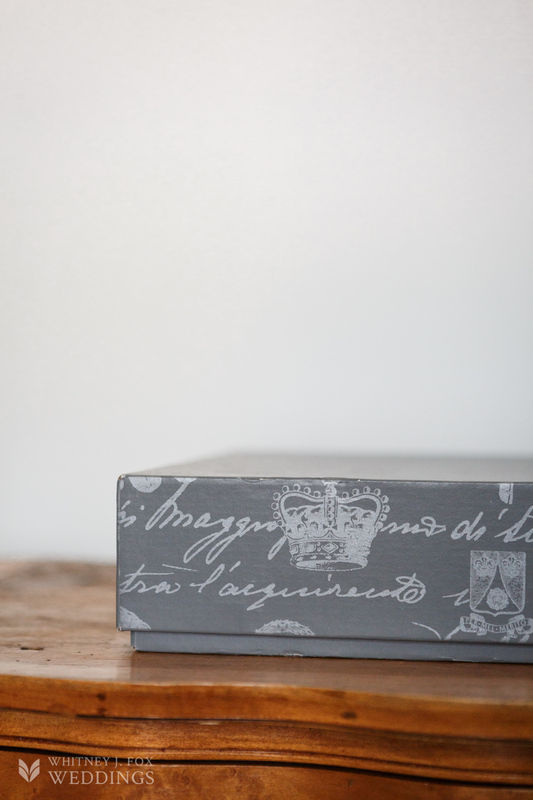 You'll just smile and swoon every time you walk past it in your home. $3800 for 18 x 12"
$3000 for 14 x 10"
Companion albums are smaller versions with the exact layout and design as the Couples album and are completely flushmount pages. Covers are same material, and can be photo front or plain. $250/spread for 18 x 12"
$150/spread for 14 x 10"
$150/spread for 12 x 12"